Welcome once again to the weekly Vanguard update! We have got some exciting new Fighter’s Collection cards shown this week. Luckily this week’s update will be a lot shorter than last week’s four-parter but the reveals are just as good, if not better. 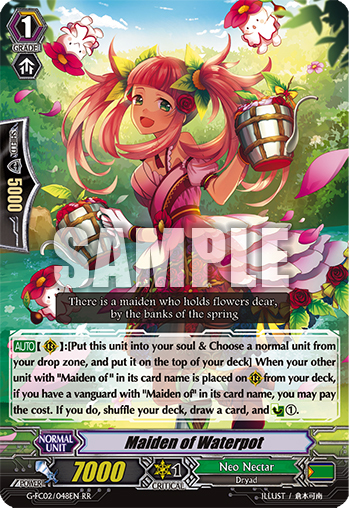 Seeing as Oracle Think Tank have had such bad luck with a lot of people finding the Susanoo support somewhat underwhelming it’s only right that they get some buff units to balance it out, and the best buff unit to get the job done is this young lady, Floral Witch Master, MiMi. Yes, the Oracle Think Tank Witches are back and better than ever! 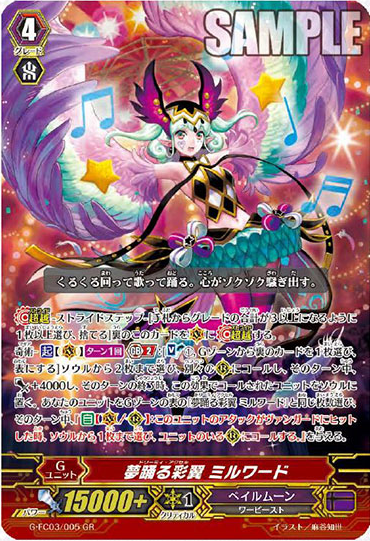 MiMi is a stride that comes in the next Fighter’s Collection and when she is placed on the Vanguard circle you may discard a card with “Witch” in it’s card name from your hand and if you have a “Witch” heart your opponent has to make the decision to either discard two cards from their hand or take one point of damage with all trigger effects of that check nullified. Due to this not needing a flip you can use her four times in a game and there are no restrictions on how much damage your opponent must be on so this skill can be the finishing blow. Your opponent will most likely have two or more cards in their hand at the time you use this but they may feel they can prevent more damage by keeping the cards in their hand so it’s a nice way to whittle them down. 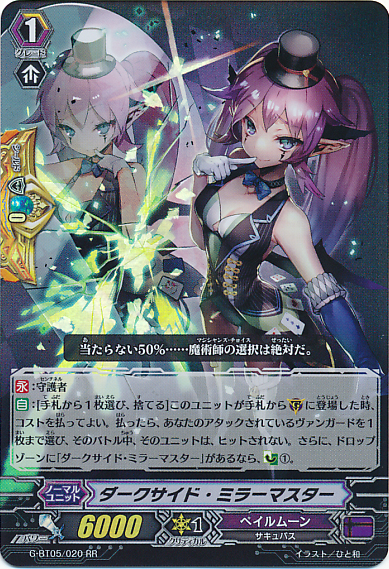 To ensure you have Witches in your hand while still keeping a stable field it may be wise to use Emerald Witch, Lala who can recycle your hand and Little Witch, LuLu for the extra draw. In case you’re struggling to claw your way towards a Scarlet Witch, CoCo this set has you covered for another Grade 3 OTT Witch. Rose Red Witch, CuCu is an 11k Grade 3 who can work both on the Vanguard circle and rear-guard circle. When she is placed on either of the before mentioned circles, if you have a Witch Vanguard, and you have one or less cards in your soul you may Counter Blast 1 to draw two cards and discard one card from your hand. This allows for a bigger chance of having Witches in your hand for MiMi’s skill. This will also give more defensive options in the long run to have an 11k Grade 3 which OTT Witches did not have before, though luckily we do now have Light Elemental, Peaker so you can get CoCo to the same defensive power as CuCu. What they really need now is some more Grade 1 and 2 Witches, though with such support people might call out “Overpowered!” but I personally think these Witches are really cool and deserve more support after all this time. Pacifica gets more support in this set with Friend of the Sun, Malucca. 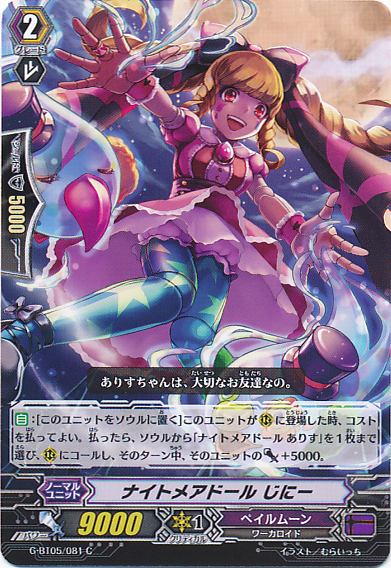 Malucca’s ability is extremely useful for the new Pacifica stride, Twinkle Happiness☆Pacifica. 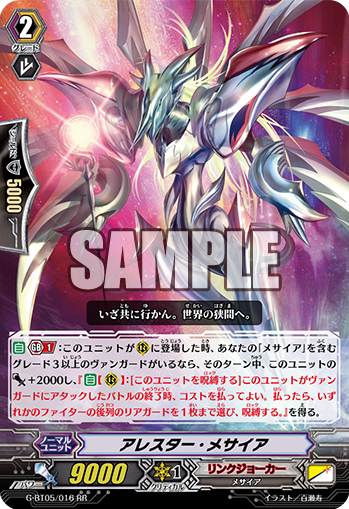 When Malucca is returned to the hand from the rear-guard circle and you have a Pacifica Vanguard you may search your deck for a Pacifica card and put it into your hand. 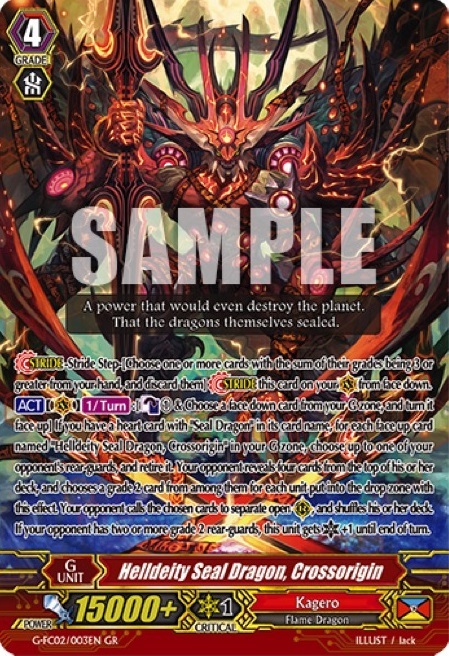 You may then reveal three Pacifica cards from your hand with different names to Counter Charge 1, Soul Charge 1, and give another unit +5000 power. 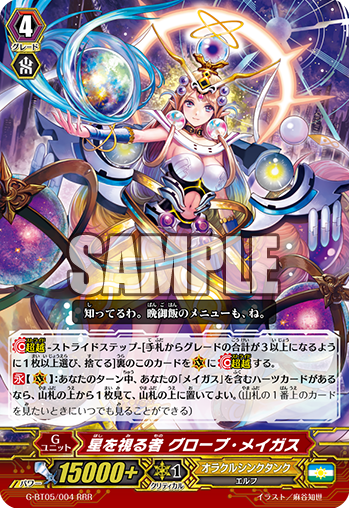 Combining this with Twinkle Happiness☆Pacifica makes it extremely easy for Pacifica to gain the extra critical by making it a lot more consistent to have those three Pacificas in hand. 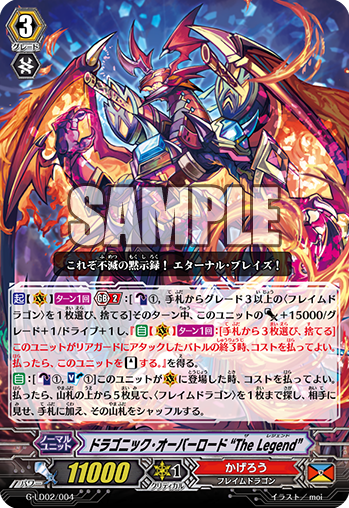 From cute mermaid idols to giant flame dragons of death, we have some Seal Dragon support for Kagero with Helldeity Seal Dragon, Crossorigin. Crossorigin has the ACT ability with the cost of Counter Blast 1 and turn any G unit face-up and for every face-up Crossorigin choose one of your opponent’s rear-guards and retire it, then for each rear-guard retired your opponent reveals the top four cards of their deck and chooses a Grade 2 from among them and calls it to an open rear-guard circle and then if your opponent has two or more Grade 2s Crossorigin gains +1 critical. 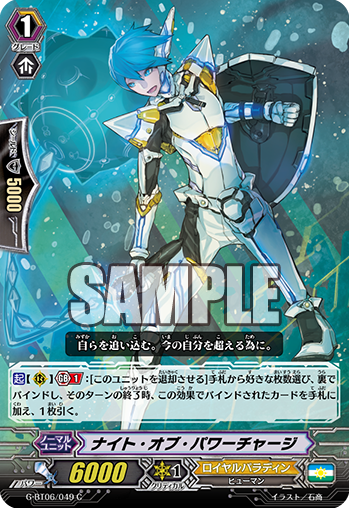 This is a great, consistent unit for Seal Dragons and making it so your opponent has to call the units to open rear-guard circles is a nice touch. As we can see from the clans who had their two cards shown, the two cards a clan gets will work well together and are helping a certain build so we can expect another Seal Dragon unit. 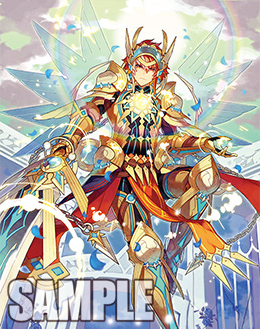 Sword Physical Liberator, Magnus is a nice Grade 2 for Gold Paladin’s Bluish Flame Liberators. When Magnus is placed on a rear-guard circle from the deck and you have two or more cards with “Liberator” in their name on the Vanguard circle (Meaning you could have a Liberator legion, strode over a Liberator legion with a non-Liberator, or even strode over a single Liberator with a Liberator stride.) then you can look at the top three cards of your deck and search for one card with “Liberator” in it’s name to call to a rear-guard circle and put the rest at the bottom of your deck. If you called a Bluish Flame unit you may then put it into your hand. This allows you to have a better chance of using Prominence Glare‘s ability to drop a Bluish Flame to gain +1 critical and prevent your opponent from perfect guarding, and using Holy Flame‘s skill will give you a bigger chance of bringing Magnus out. 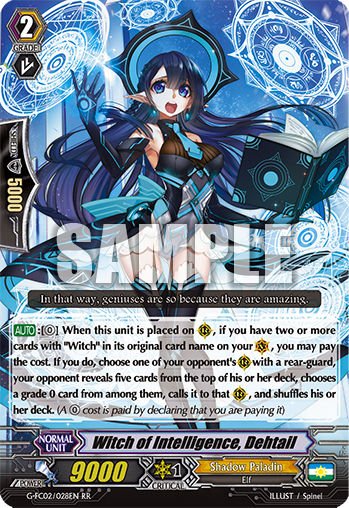 A new Shadow Paladin Witch has been shown, Witch of Intelligence, Dehtail. When Dehtail is placed on rear-guard and you have two or more cards with Witch in their original name on the Vanguard circle (This works the same as Magnus’s condition) then you can choose an opponent’s rear-guard circle that is occupied by a rear-guard and your opponent reveals the top five cards of their deck and searches for a Grade 0 from among them to call to that circle. As an SP Witch player I can say from experience how amazing this card really is going to be. 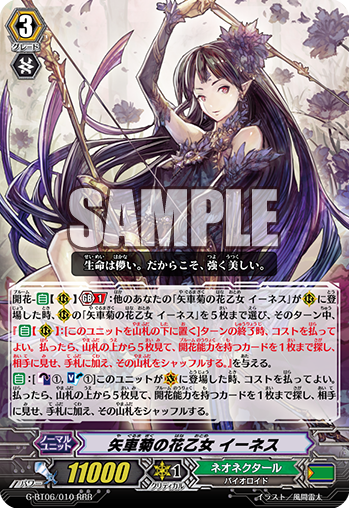 The biggest worry with the new stride, Witch Queen of Transfiguration, Sinclair, was that your opponent wouldn’t have enough Grade 0s to activate her skill but this helps to pull it off and it’s a nice addition to have a rear-guard Witch who has a wider range of your opponent’s cards to work with to get those Grade 0s on the field. I will definitely be running this card but the Grade 2 slots in Witch decks are already very tight so watch out for what you take out for this card. 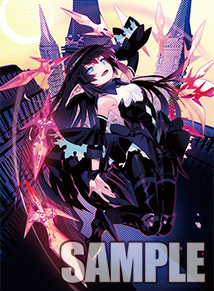 We have now had official announcements for G Trial Deck 8: Vampire Princess of the Hades Hour and G Booster Set 6: Transcension of Blade and Blossom. 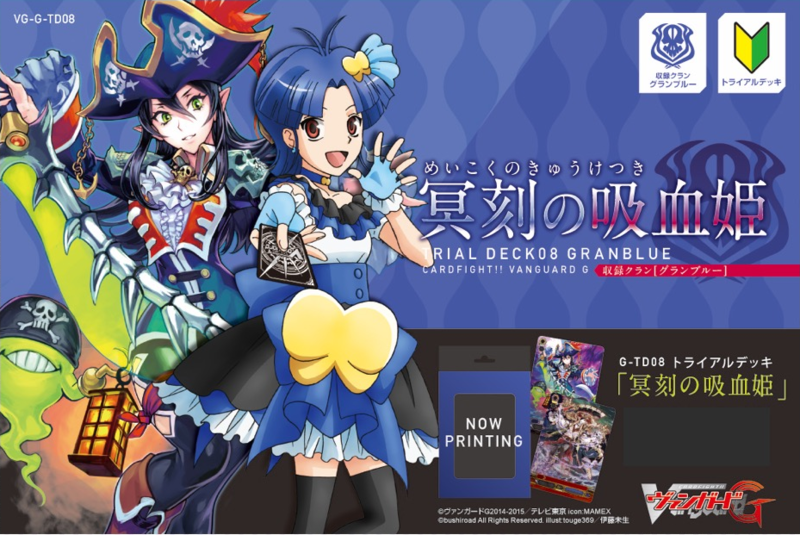 We have two cards officially confirmed for the Trial Deck and those are the Grade 3 Night Mist Vampire Princess, Nightrose (who can be seen to the left of the Trial Deck’s poster) and a reprint of a beloved critical trigger for Granblue, Rough Seas Banshee, with alternate art. This is a very exciting time for Granblue and I’m enjoying all this support for previously highly unsupported clans. 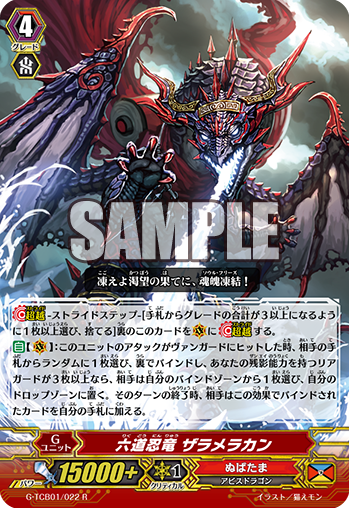 For the next Booster Set (Transcension of Blade and Blossom ) Royal Paladin, Shadow Paladin, Nova Grappler, Pale Moon, Granblue, and Neo Nectar are all getting additional support as well as some Cray Elemental cards. So far not much has been revealed about this new set. 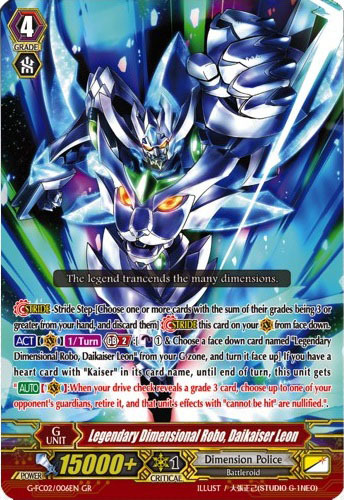 What we do know however is it will contain Secret Packs (Booster packs containing five Secret Rares) which will include reprints of Blaster Dark Revenger “Abyss”; Revenger, Phantom Blaster Dragon “Abyss”; Blue Sky Knight, Altmile; Ranunculus Flower Maiden, Ahsha; and lastly Exxtreme Battler, Victor. 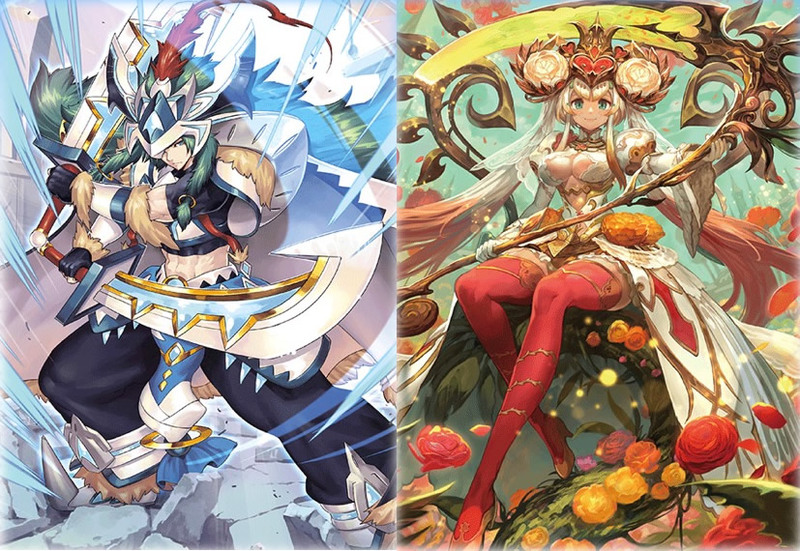 There are two new units for G-BT06 that have had their names and pictures revealed, these are the new versions of Altmile and Ahsha, Transcending the Heavens, Altmile and Ranunculus in Glorious Bloom, Ahsha. We also have the name revealed for a new Granblue stride, Mist Phantasm Pirate King, Nightrose and the pictures (but no names) for a Shadow Paladin dragon and a Nova Grappler Raizer Legion. Lastly we just have a couple of promos. 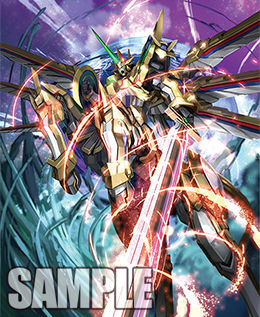 The first one is a Grade 1 Royal Paladin, Transition Sage, Lyron. 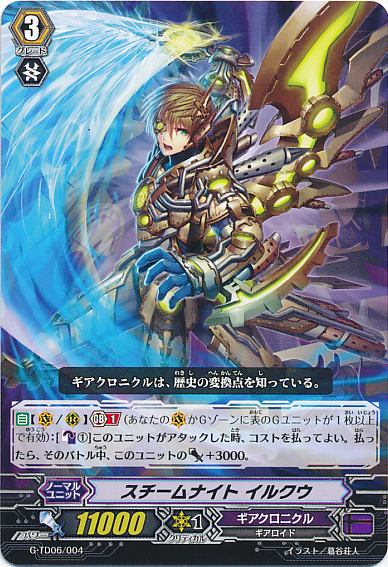 When he is placed on a rear-guard circle you may Soul Blast 2 to draw a card. 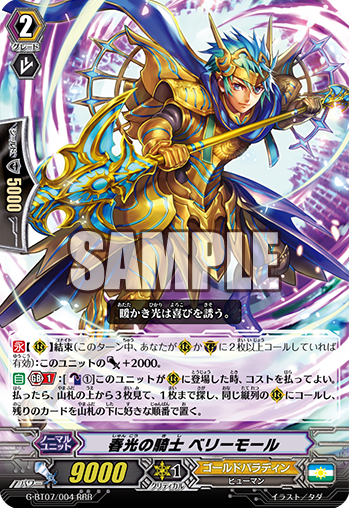 This is the second card that has this ability for Royal Paladin (The first one being Knight of Reform, Ladinas) though the previous one was also a promo so this may have just been made to give people another chance of getting this kind of card. A big hand size is always nice but with a Soul Blast 2 in modern Royal Paladin decks it may seem like a very big cost to pay unless you have a lot of cards to fill the soul back up. 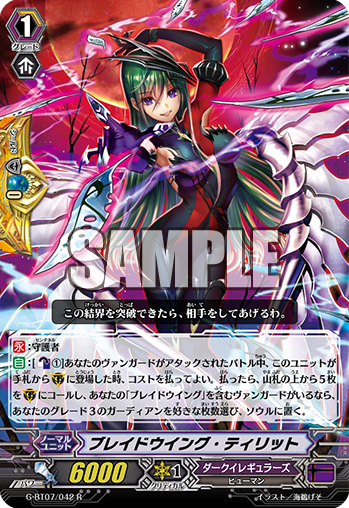 The second promo is for Link Joker. 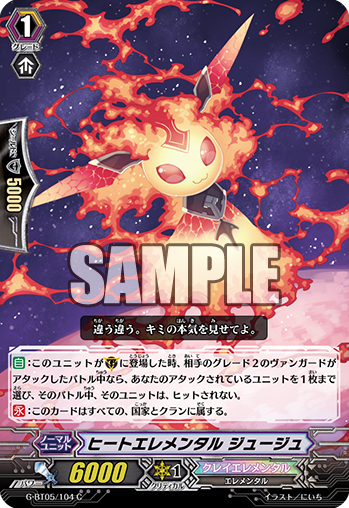 When Star-vader, Mulepton is placed on the rear-guard circle and your opponent has at least one locked card you may Counter Blast 2 to choose an opponent’s rear-guard circle and they must choose a card from their hand to place on that circle and locked. 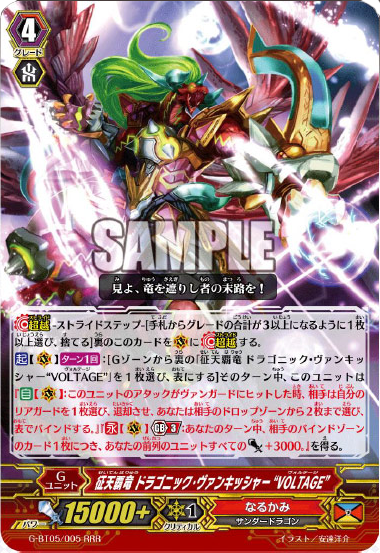 This will mostly be helping for Chaos Breaker decks and now that there is an efficient Counter Charger in the form of Confusion Star-vader, Zinc this card may see some play despite it’s high Counter Blast cost. Well, this concludes this week’s update. 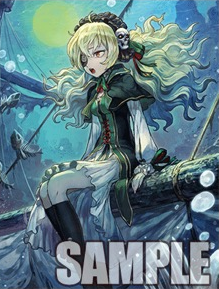 The reveals this week have been very exciting a contain a lot of really cool and useful cards (But maybe I’m just saying this because of SP Witch support) and I hope the reveals stay just as exciting for next week well we’ll most likely see more Fighter’s Collection and hopefully some Granblue cards for the upcoming G-TD08 and G-BT06. Thank you for joining us this week and don’t forget to join us again next week for the cards revealed in the next seven days. Welcome back to this multi-part weekly card update for this week. In this part we will be talking about the new cards shown for G-TD06 Rallying Call of the Interdimensional Dragon and G-TD07 Illusionist of the Crescent Moon. Steam Knight, Irkuh is a new Grade 3 and shows that we get no 10k Grade 3s in this deck with himself, Chronojet, and Classic Gun all being 11k. Irkuh’s skill is one we’ve seen many times by getting +3000 power with a Counter Blast 1, though this one is at GB1 for a good reason because when being boosted by a 7k Grade 1 you can easily hit 21k power. This makes it so your opponent has to guard a little bit extra every turn which really makes a difference to the game. With cards like Steam Scara, Merkal and Steam Worker, Etana you can get this guy to a nice 26k power. In this Trial deck you also get the vanilla Grade 1 and 2, Steam Battler, Ur-giru (Grade 1) and Steam Fighter, Jimmdal (Grade 2). Twilight-impulsing Gear Pony is a 6k Grade 1 that can boost for 9k with a GB1. This may have potential for future units in Gear Chronicle but for now it doesn’t serve much of a purpose other than the chance that you’re using 12k Grade 2s to get them up to 21k power. We get the usual perfect guard with Steam Maiden, Sanira who many people seem to want to replace Gear Raven with for the only reason being that she is cuter. That’s a good enough reason if you ask me. 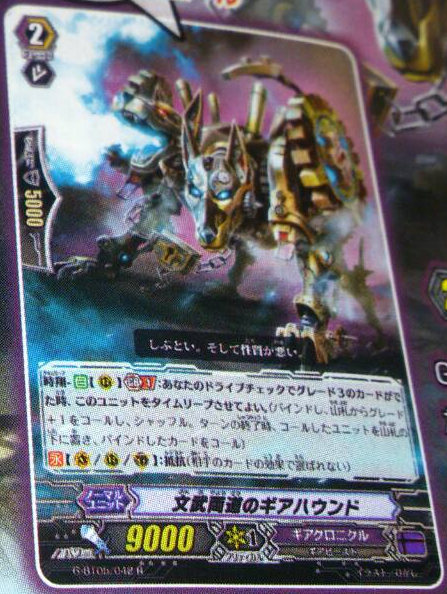 Another defensive unit in the Trial Deck is Ruin Lingering Gear Goat who gains +10 shield when intercepting. 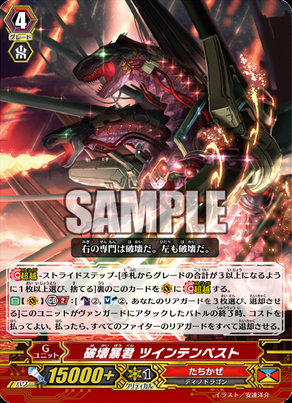 Engaging Gear Cat is the Trigger with a skill in this deck and it’s a Stand Trigger that goes into the soul to give a unit +3000 power. People may still think Lucky Pot Dracokid is a lot better due to him being a Draw but it’s nice to have the flexibility. The last four cards in the set are the four vanilla Triggers. Steam Scara, Ka-lanma (Critical Trigger); Steam Scara, Udul (Draw Trigger); One-two Punch Dracokid (Stand Trigger); and Twinkle Worker (Heal Trigger). Pale Moon get a Steam Knight, Irkuh clone to gain +3000 power with a Counter Blast in the form of Breathing Couatl. Just like with Irkuh it’s a breeze to get that 21k and add a Intensely Sweet Clown to get up to 26k nice and easy. 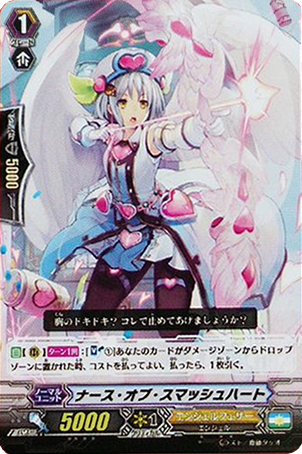 The second Grade 3, Mirage Sword, Judy, unlike Gear Chronicle’s Trial Deck, only has 10k power but becomes 16k when attacking. She also has the ability to Counter Blast 2 when she is placed on the Vanguard circle to Soul Charge 1 and call a Grade 2 or less from your soul to the field. Card Dealer, Jacqueline would be a good card to bring out with Judy. Jacqueline is an Amber clone so when she is boosted you may Counter Blast 1, if you do you Soul Charge 1 to then bring another Grade 2 or less from the soul. Using this multiple times can really strengthen your field. 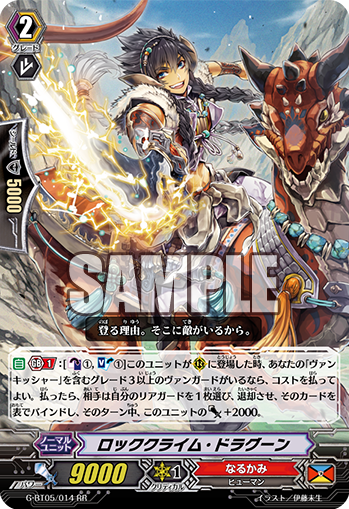 Using this when Lunatec Dragon is Stride on your Vanguard can also give flexible boosts. Just like the other Trial Deck there is a vanilla Grade 1 and 2. The Grade 1 is Miracle Tumbler, Lance and the Grade 2 is Star Magician, Elen. 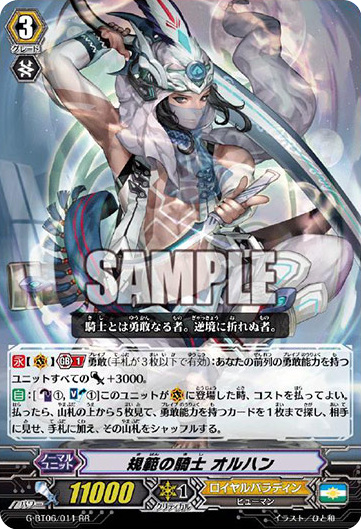 As well as those Trial Deck staples we also get the perfect guard, Water Juggler. The other cards are mostly things we’ve seen before. We have the 12k Grade 2, Sinhalite Beast Tamer, the 15k interceptor, Gluttony Clown, the 10k Grade 1, Obsidian Beast Tamer, and the Triggers, Kitten Juggler (Draw), Surprising Clown (Stand), Poison Juggler (Crit), Tender Breeder (Heal), and Amethyst Beast Tamer (Stand). Both Poison Juggler and Amethyst Beast Tamer go into the soul to give a unit +3000 power which is a bit more handy these days with Pale Moon doing more Soul Blasting than they used to. Well that ends it for all the parts of this week’s updates. That was far more than I expected it would be but at least we managed to get through them all! Next week we will most likely be seeing some Fighter’s Collection cards and as I’ve said many times I love Fighter’s Collections so I’m excited for that. Don’t forget to join us again next week for the cards revealed in the next seven days! Welcome back to this multi-part weekly card update for this week. 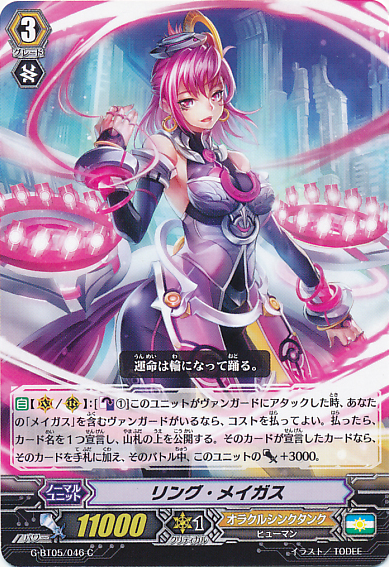 In this part we will be talking about the Oracle Think Tank and Pale Moon units shown for G-BT05 as well as a special Fighter’s Collection card. 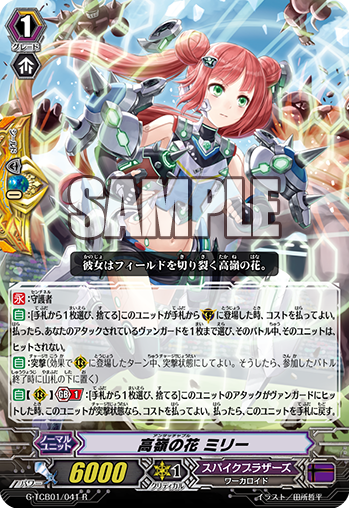 Battle Sister, Muffin is a new Critical Trigger that can be put back on top of the deck. 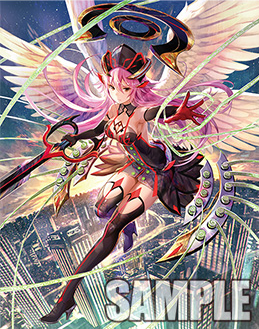 If you do put her on the top of the deck and you have a Vanguard with “Battle Sister” in it’s name you can give another rear-guard +3000 and if you have five or more cards in your hand when the attack hits you can Counter Charge 2 which is really handy for Battle Sisters and their excessive Counter Blasting. 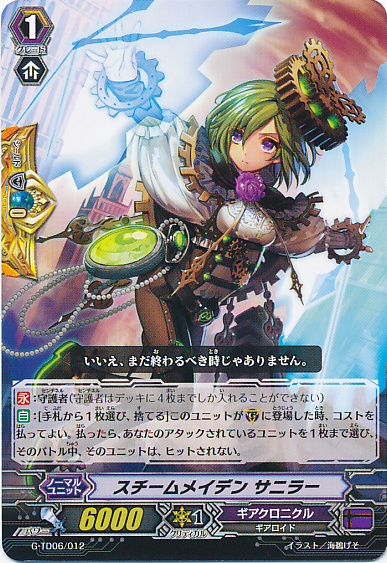 Seeing as you only need a Battle Sister Vanguard you can give this ability to cards like Silent Tom to give you a better chance of hitting. 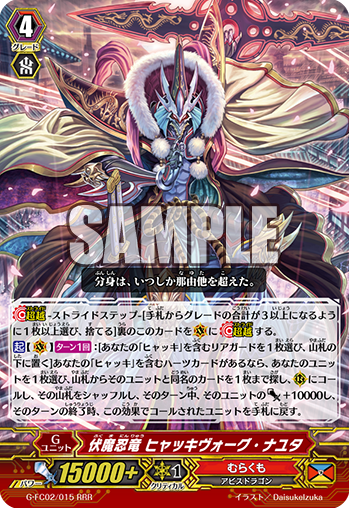 Susanoo has been given a little bit of support with the Critical Trigger, Divine Sword, Kusanagi. 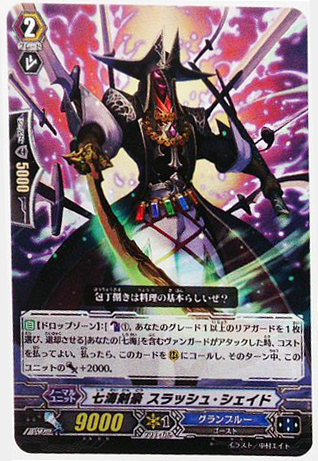 Kusanagi is a Heart Thump Worker clone where if your Vanguard with “Susanoo” in it’s name attacks you can put him into the soul to draw a card and give your Vanguard +5000 power. The power helps but the one draw isn’t amazing for OTT seeing as they draw a lot with their other skills anyway. 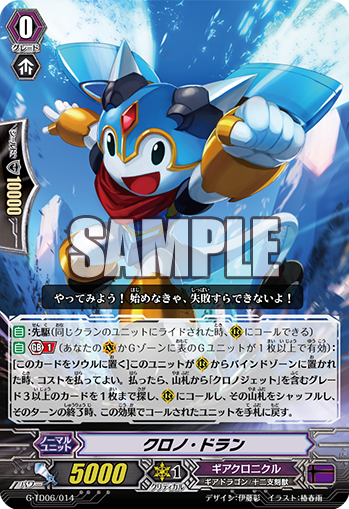 Tankman Mode Interrupt is another card that allows you to draw two cards when he is placed on a rear-guard circle by Counter Blasting 1. If you do you can either discard two cards from your hand or discard one card with the Oracle keyword. With only having 7k power and being a Grade 2 he doesn’t seem very good but he doesn’t have a Generation Break either so at least you can use him early on. 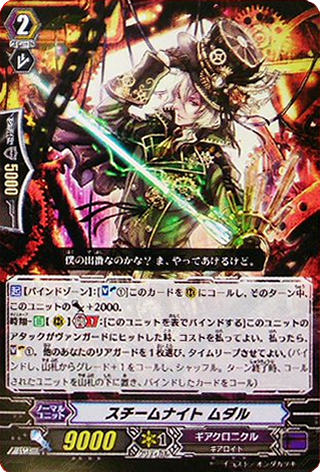 On to the Magus cards we have a new Grade 3, Ring Magus. 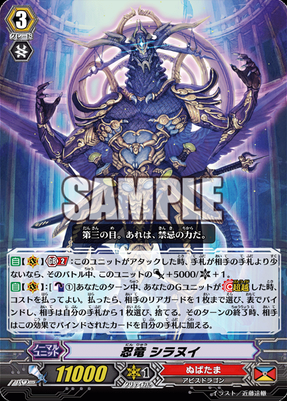 When Ring Magus attacks a Vanguard you may Counter Blast 1 and predict a card, reveal the top card of your deck and if the card has the same name as you predicted then you put that card into your hand and Ring Magus gains +3000 power. Another Magus that helps with draws is the new forerunner, Semilunar Magus. You may predict the top card of your deck, if your prediction was correct you put her into the soul and draw two. As you may be able to tell the new Globe Magus stride works fantastically with these cards by being able to look at the top card whenever you wish. Rhombus Magus with a simple 7k Grade 1 can make for some very strong columns. 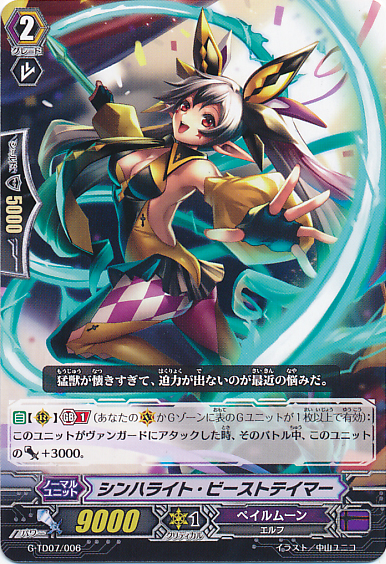 When she attacks and you have a Magus Vanguard you can do your usual Magus predictions and if you predicted correctly she gains +5000 power becoming a 14k Grade 2. In the event that you run out of Counter Blasts, Cone Magus has you covered. When she is placed on rear-guard you can make a prediction and if it’s correct you can Counter Charge 2. 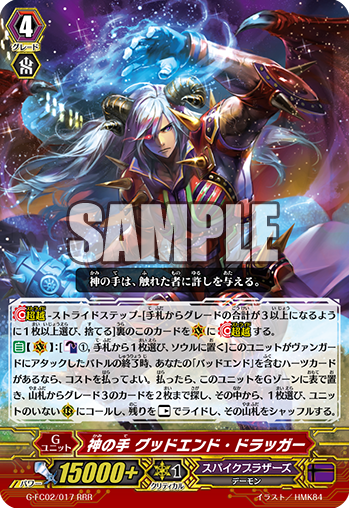 This will help for the Counter Blasts that Ring Magus and Stellar Magus will be constantly using so it may be wise to run 3-4 of Cone Magus. 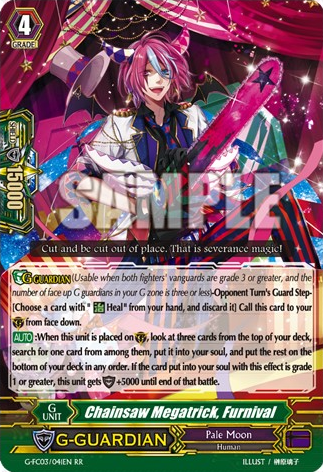 Magus also have defensive options with the help of Octagon Magus and the new vanilla draw trigger Triangle Magus. When Octagon Magus is placed on the guardian circle you can predict a card and if it was correct she gains +10000 shield. It’s nice to see a strong guard still with 7k power to make her more flexible with either attack or defence. As far as Magus go I think they are really cool. When they first came out they didn’t have much to go by and they used up their Counter Blasts very quickly but with the help of these units and Globe Magus I think they will be used a lot more and will prove to be a very good sub clan. Some more Legion hate comes in the form of the Cray Elemental, Earth Elemental, Dogats. He has a CONT on the rear-guard where it changes the cost of Legion-ing to make it so if you want to Legion you can only put Grade 2s or higher back into your deck, preventing you or you opponent from putting Triggers and Perfect Guards back into the deck. You’ll obviously be wanting to use this in a non-Legion deck and hope that you can screw up your opponent’s plans with it, plus he has 9000 power so he can still do some decent damage if your opponent isn’t using Legion. 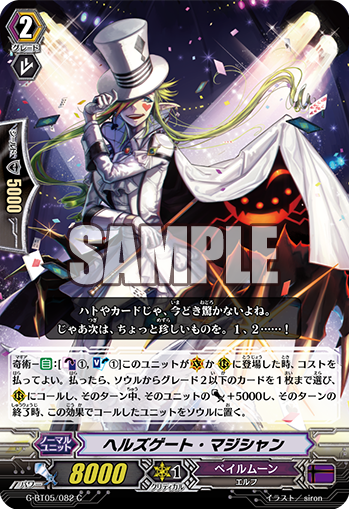 The new Harri stride for Pale Moon has made it’s grand entrance and is the second GR in this set. 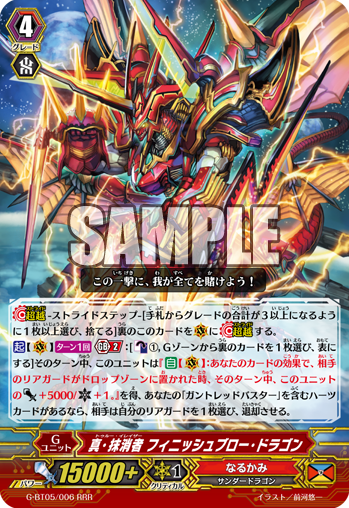 Dragon Masquerade, Harri has a GB3 though his skill is definitely worth it. When he attacks a Vanguard you may Counter Blast 2 and put one of your rear-guards into your soul, if you do you can choose three units in your soul to put onto the field and if you have five or more rear-guards then your opponent has to put two of their rear-guards into their soul, then at the end of the turn you must put the newly called units back into your soul. Putting two rear-guards into your opponents soul may give them some Soul Blast fuel (or if they’re Dark Irregulars, some extra power) but I think it’s well worth it in order to thin out their field. Darkside Princess would be a great card to bring out due to her power and she’s going to go back into the soul anyway so you may as well make it worth it. Flying Peryton would also be a good option to bring out if you still have an empty circle so you can use Harri to his full extent. 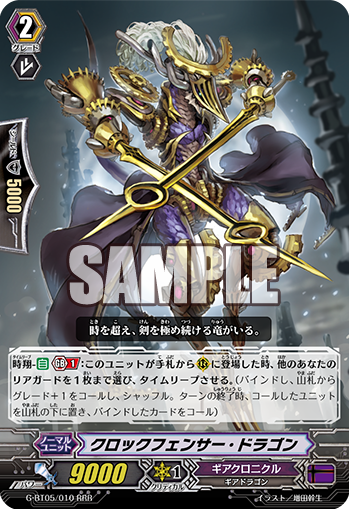 Harri also gets a very beautiful Perfect Guard G, Darkside Mirror Master, to unflip some of those Counter Blasts and a Heart Thump Worker clone, Darkside Sword Master, to go into the soul to give some extra power and a draw. A nice little back-up Grade 3 for Harri is Beauteous Beast Tamer, Alexis. 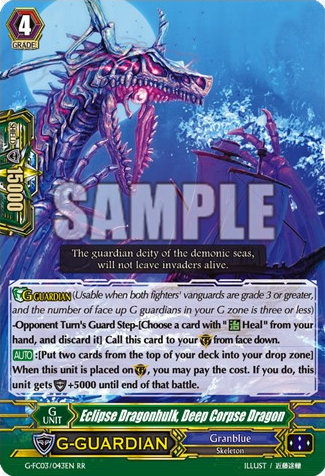 When Alexis’s attack hits a Vanguard you may Counter Blast 1 to Soul Charge 1 and choose a Grade 2 or less from your soul and call it to rear-guard. This does need a GB1 but the unit called doesn’t go back into the soul. 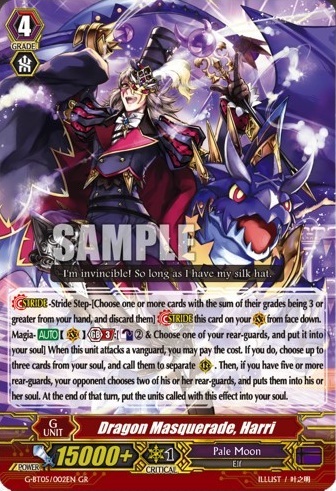 This is also good as a last resort from trying to fill up your field for Dragon Masquerade, Harri but you would also be risking a lot relying on this card for that purpose. 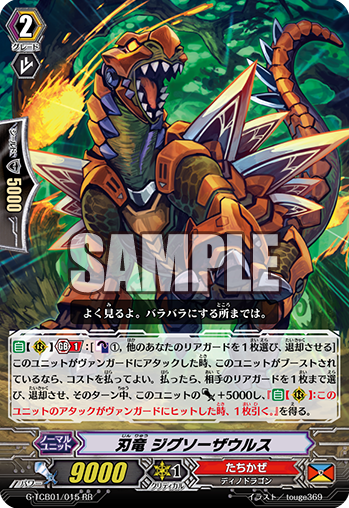 Speaking of good back-up Grade 3s we also have Foolsmile Wyvern, a Grade 3 that works both on the Vanguard circle and rear-guard circle and doesn’t have a Generation Break. 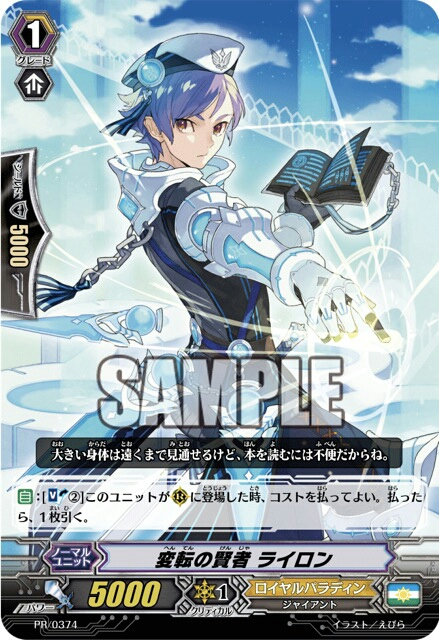 As an ACT you may Counter Blast 1 to use the Magia effect of bringing a card from the soul onto the field and then putting it back afterwards. This is a far more reliable option than Alexis but Foolsmile’s new unit will only be around for one turn. The clowns are back with Spicy Clown and Intensely Sweet Clown but with GB1 abilities. When a unit is called from the soul onto a rear-guard circle Spicy Clown gives +2000 power to the Vanguard and himself. This is very similar to the ability shown by Nurse of Broken Heart from the previous set and can boost up your front row really well, especially if you have two Spicy Clowns. 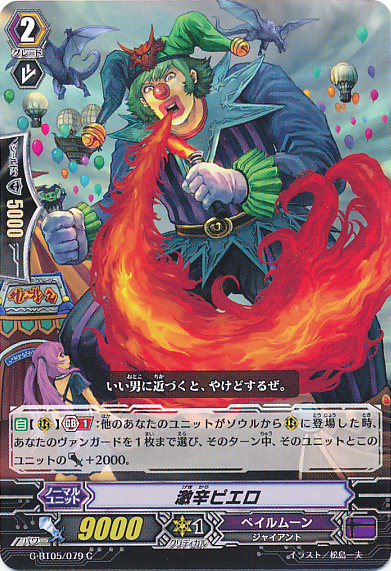 Intensely Sweet Clown gains +5000 power when placed on a rear-guard circle from the soul. I’m sure you can see how well these two units work together and how devastating each column could seem to your opponent. A great Stand Trigger has been shown for Pale Moon. 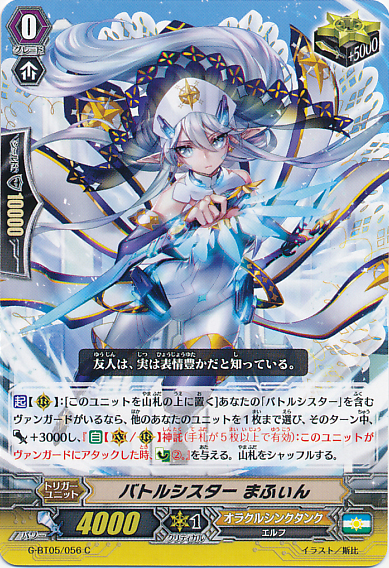 Mischievous Girl of the Mirrorland can be put on top of the deck when she would be put into the soul. If you do put her into the deck then you can search your deck for a card not named Mischievous Girl of the Mirrorland and put it into the soul. This can be good for a load of cards, especially Darkside Princess, Upright Lion, and even Nightmare Doll, Alice. 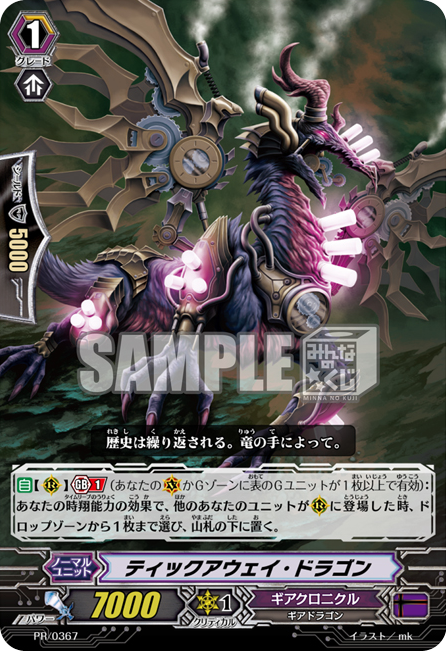 Dreaming Bicorn is the new Forerunner for Pale Moon. When a unit is put into the soul you may also put this into the soul to give +3000 power to three rear-guards. 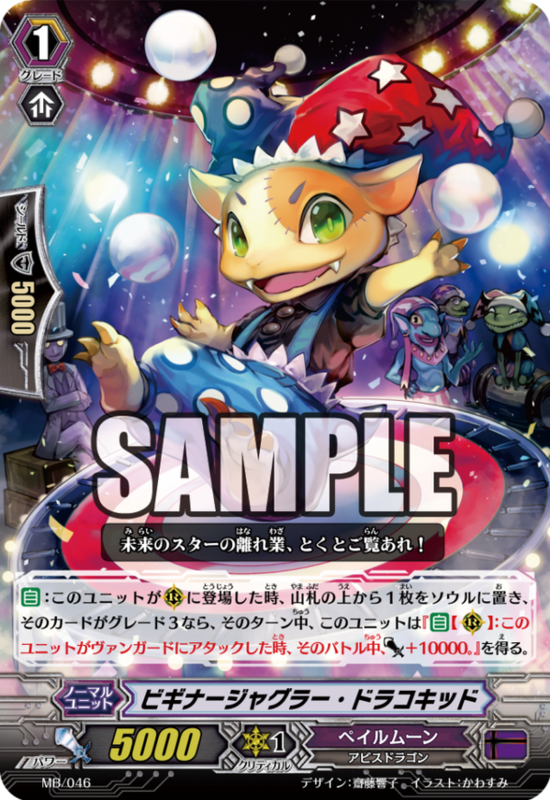 Some people may decide to run this as their starter instead of Happiness Collector but I think they have their own place in different decks. 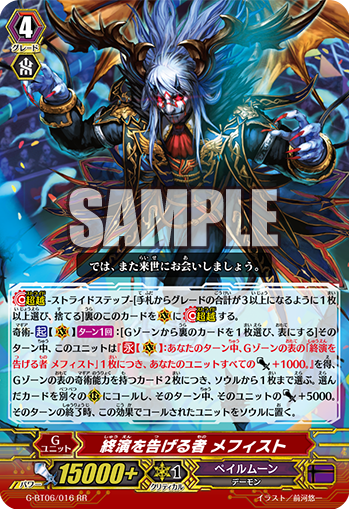 For Dreaming Bicorn it may suit a Nightmare Doll deck better than a Harri deck to give those Alices a nice boost in power. 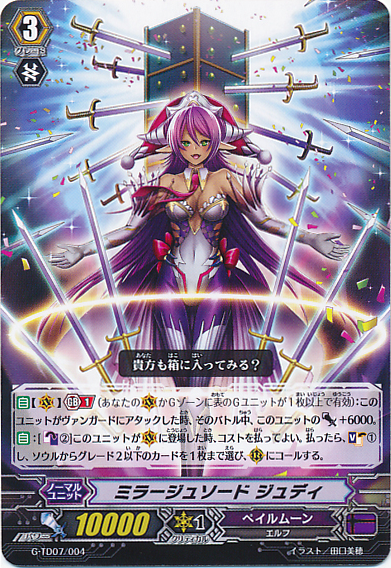 Speaking of Nightmare Dolls, they get a couple more direct support cards in this set to help out Catherine and Alice. 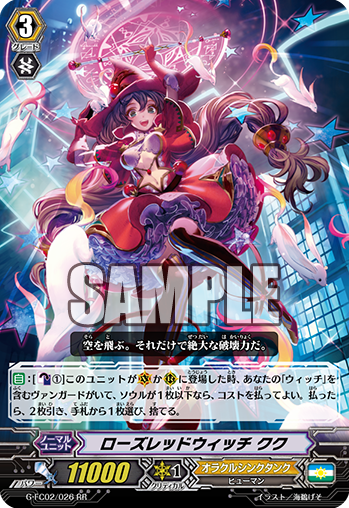 The first one is Nightmare Doll, Ginny that, when she is placed on a rear-guard circle you may put her into the soul, if you do, you can call a Nightmare Doll, Alice from your soul onto the rear-guard circle and give her +5000 power until the end of the turn. This is why Michievous Girl of the Mirrorland is so good to give you a much better chance of getting Alice into the soul. 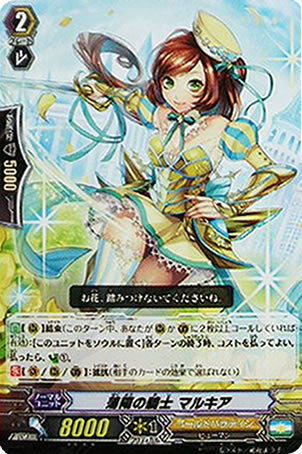 The second card for Alice and Catherine is Nightmare Doll, Leslie. When a Nightmare Doll, Alice is put onto the rear-guard circle from the soul you can stand up Leslie. 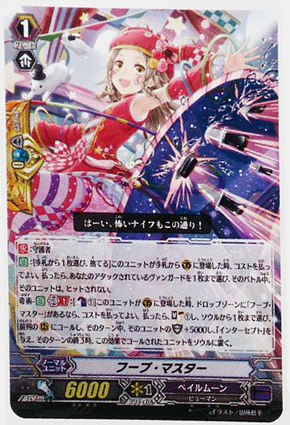 This constant onslaught of Alice attacks will really pressure your opponent with the only downside being it takes up a lot Counter Blasts. Luckily Leslie and Ginny don’t take up any Counter Blasts but you will still have to be wise as to when you want to use the precious face-up damage. But wait! The Nightmare Doll support doesn’t end there. They have recently revealed a new stride unit for Nightmare Dolls to come out in the next Fighter’s Collection. 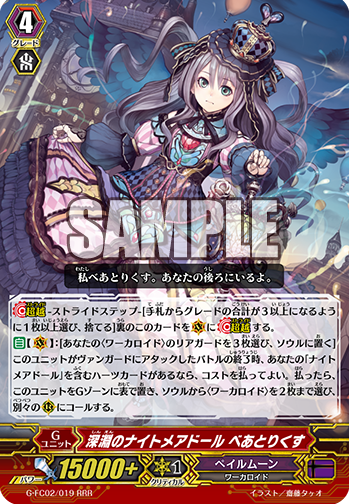 Nightmare Doll of the Abyss, Beatrix allows you to choose three “Workeroid” (race) units to put into the soul after she’s attacked to then put Beatrix back into the G-Zone and call two Workeroid units from your soul to rear-guard. This only works if you have a Nightmare Doll heart but the flexibility of being able to call Workeroids means you won’t only be able to call out Nightmare Dolls but also cards like Jumping Jill, Nitro Juggler, Peek-a-boo, etc. This card is mostly useful for bringing out Alice and because Beatrix goes back to the G-Zone, if you have Catherine as your heart you can give Alice the +1000 power and skill that Catherine gives. A truly great stride for helping out the Nightmare Dolls. Lastly we have a couple of Silver Thorns. 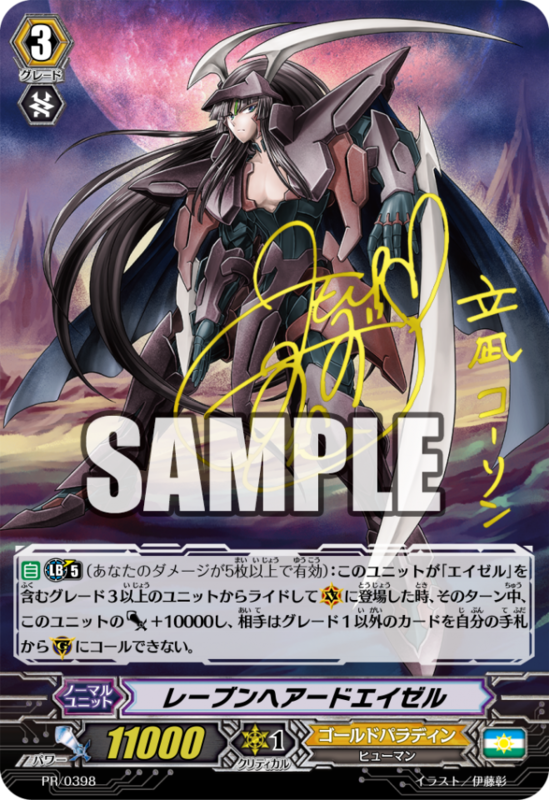 Silver Thorn Magician, Colette Soul Charges one when they are placed on a rear-guard circle if you have a “Luquier” Vanguard, and if the Soul Charged unit was a “Silver Thorn” Colette also gains +3000 power for the turn. 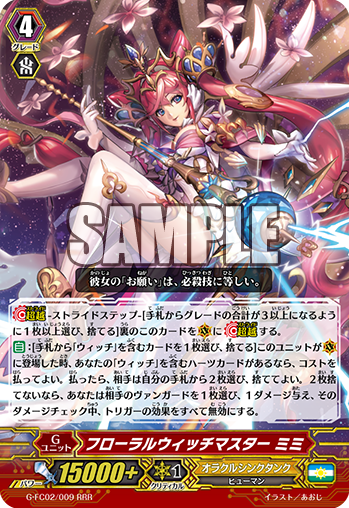 And the last unit is Silver Thorn Puppet Master, Euphemia who eliminates the Limit Break 4 restriction, which is a good way to get Silver Thorn Dragon Queen, Luquier “Яeverse” and Silver Thorn Dragon Empress, Venus Luquier using their skills a little earlier on. 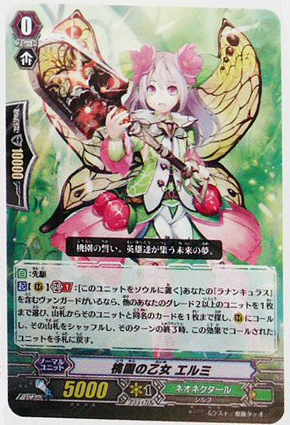 I would say Silver Thorn Dragon Tamer, Luquier as well but seeing as her skill costs a Counter Blast 3 it’s not going to make an overly big difference. 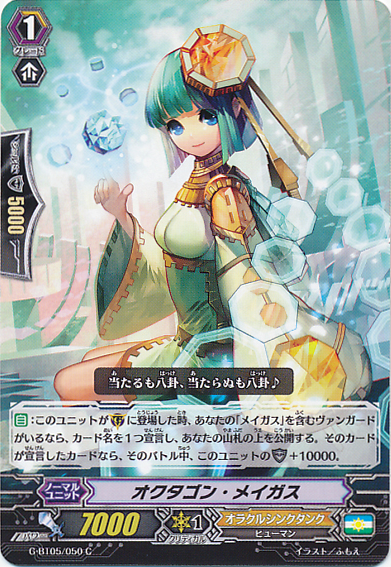 Well that’s it for the Oracle Think Tank and Pale Moon for G-BT05. Be sure to check part 3 where I will be talking about the all the Narukami units in the same set as well as a sweet Beast Deity stride that comes in Fighter’s Collection 2015 Winter.